With the Gator GM-4WR has enough room to tote up to 4 half-rack wireless systems in safety. Constructed of rugged polyethylene with reinforced corners, there are 4 half-rack shelves and soft foam slots for microphones and body pack transmitters. The convoluted foam lid provides extra padding. 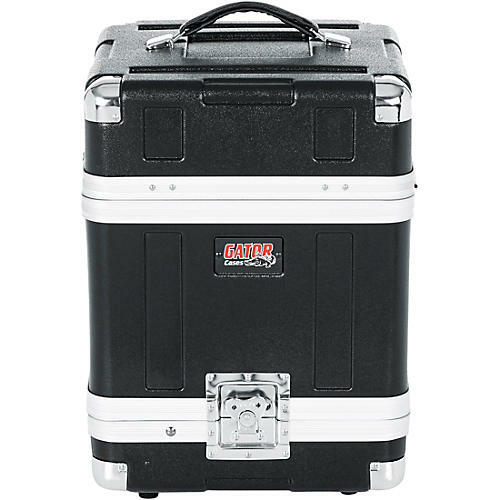 The Gator case features chrome corners, recessed chrome latches, an accessory pocket, carpeted interior and threaded rack rails. Carry handle on top and rubber feet on the bottom. Exterior: 17" x 12.5" x 12.5"